Home VideosFire Safety Videos How can you guarantee that a fire door is fit for purpose? The British Woodworking Federation has produced a film looking at the important, but sometimes challenging area, of certification. How do we know that a fire door has been produced to a high standard and will effectively do its job in a fire? It may come as a surprise to many but, in the UK, a manufacturer can simply self-certify that their fire doors comply with safety standards. • Full traceability via permanent labelling or markings Hannah Mansell, spokesperson for FDSW, as well as British Woodworking Federation Head of Technical Research and Insight, Chair of the Passive Fire Protection Forum and a Trustee of the Children’s Burns Trust, says that the industry needs to continue to lobby for third party certification to become mandatory. This film is one of five that BWF is releasing for FDSW. 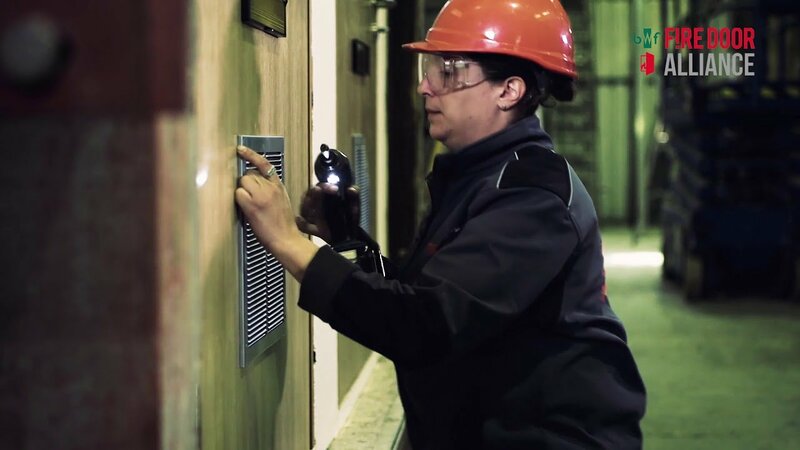 The week aims to raise awareness of the critical role that fire doors play in protecting occupants, buildings and fire fighters in the event of a fire and draw attention to a legacy of neglect when it comes to fire door inspection and maintenance. Visit www.firedoorsafetyweek.co.uk to find out more.